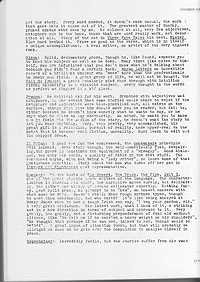 Issue 30 of Floating Bear (November 1964) contains a text by Gilbert Sorrentino which gives his impressions of the prose writers of the day. 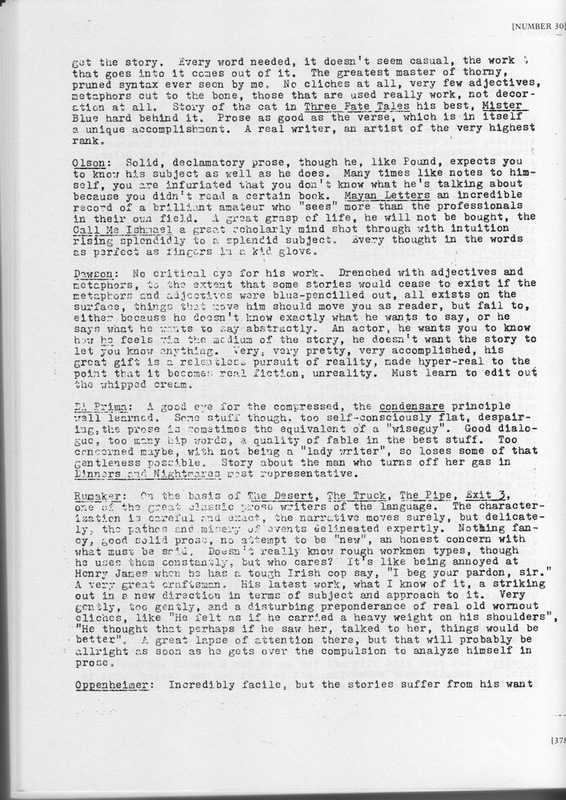 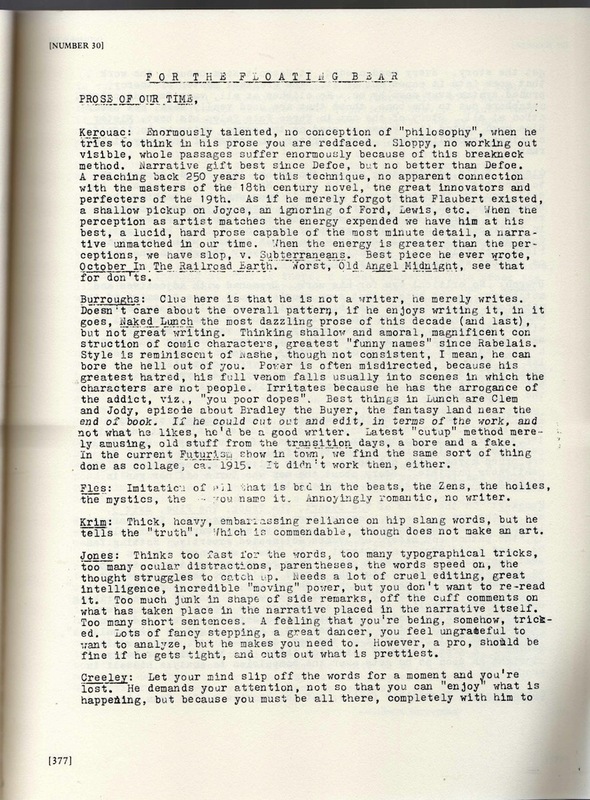 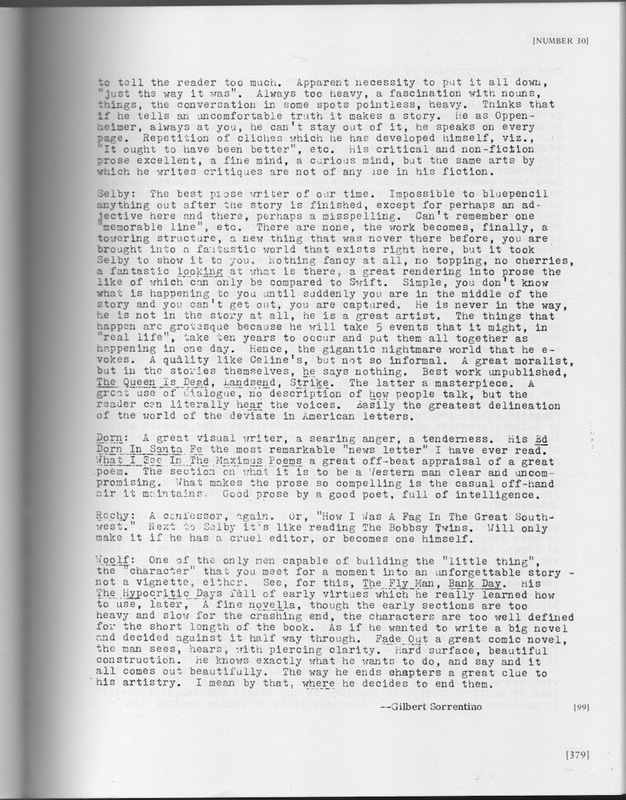 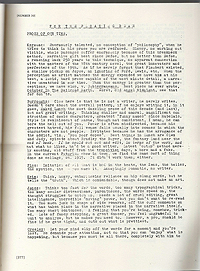 Here are a transcription of his comments on William Burroughs and a scan of his entire article. 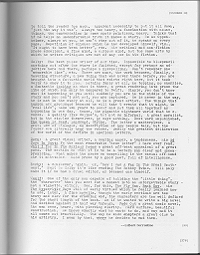 Written by Jed Birmingham and published by RealityStudio on 12 May 2012.